Pieced wool plain weave and twill (some printed), glazed cotton plain weave back, wool plain weave binding; quilted. Frank B. Bemis Fund, John H. and Ernestine A. Payne Fund, Elizabeth M. and John F. Paramino Fund in memory of John F. Paramino, Boston Sculptor, Helen B. Sweeney Fund, Mary L. Smith Fund, Textile Income Purchase Fund, Joyce Arnold Rusoff Fund, and Alice J. Morse Fund (2014.1862). Photograph © Museum of Fine Arts, Boston. For the simple reason that I am sewing a quilt for my daughter, my curiosity about quilts in our collection has been ignited. The animated tour de force shown here is one of my favorites. I first saw it in the 2014 MFA exhibition Quilts and Color: The Pilgrim/Roy Collection, a true celebration of the power of color, and a testament to the creative ways makers utilized color to create many varieties of quilts that stir the soul and dazzle the eye. The Museum’s acquisitions of nineteenth century pieced quilts from the Pilgrim/Roy Collection began in the year 2008 and continues to the present, immeasurably increasing the depth, quality and range of our holdings. 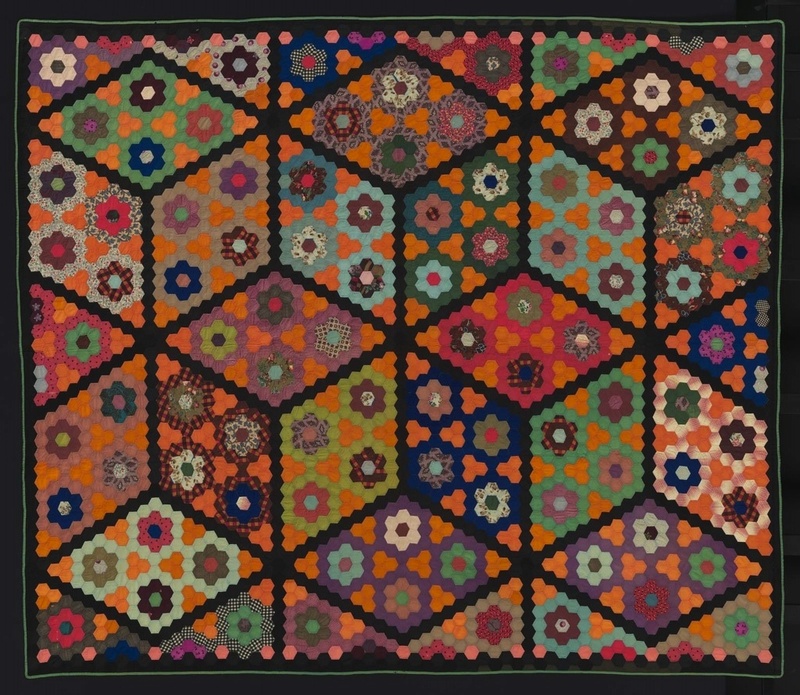 These collectors, as passionate about the historic importance of the quilts they collected as well as their visual impact, have enhanced our ability to tell the story of quilt making through the ages. Expect to see more over the coming weeks!